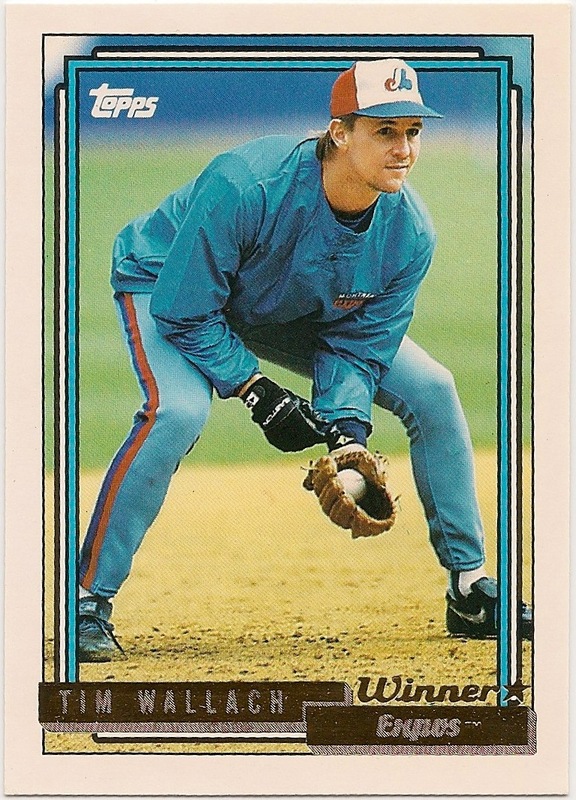 Card Review: 6.8 This is just an all-around inferior variant of the regular '92 Topps. The gold stamping looks horrible, the "winner" just adds more of the stamping, and the "toppsgold" water mark on the back is ridiculous. The "G" is particularly galling. 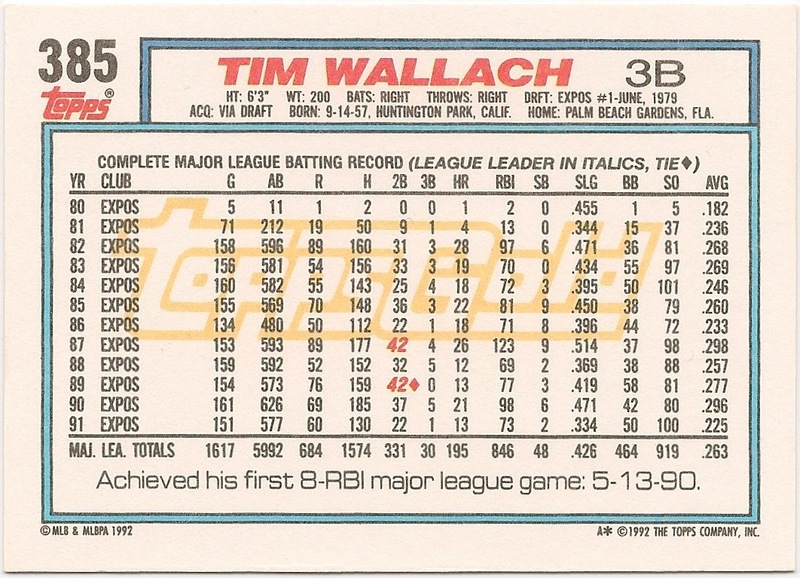 In '92 Topps had a scratch-off game card in each pack. 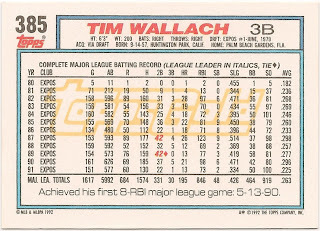 You could win these cards if you scratched off enough runs without scratching an out, or 3 outs, or something like that. I went about 0 for all of them in my efforts to "win." The "winner" variation was apparently created after someone figured out you could cheat the scratch off game with a flashlight in a dark room.